ENERGY STAR Portfolio Manager is back online after being temporarily unavailable due to the federal government shutdown. You can now log in to your account and benchmark your building(s) as usual. Buildings can submit their 2018 benchmarking data to the City here. Residential benchmarking. An expansion to the City's Commercial Building Energy Benchmarking and Transparency ordinance to now include residential buildings 50,000 sqft and greater to report annual energy and water consumption data to the City. Low-performing buildings will also be required to conduct an energy evaluation every 5 years, if a no-cost option is available. Time-of-Sale energy disclosure. An energy report will now be included as part of the existing Truth in Sale of Housing (TISH) process for single family and duplex housing, allowing prospective home buyers and sellers to consider the efficiency of homes prior to purchase. Learn more about the policies here. Under the City of Minneapolis' new benchmarking ordinance, buildings 50,000 sqft and greater will be required to fulfill one of the following every five years. 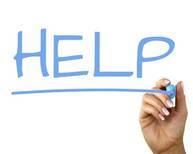 This requirement is only enforced IF there is an energy evaluation option available at no cost to the owner. EVALUATION: Provide proof of an energy evaluation within the past five years. The evaluation must meet ASHRAE level 1 standards definition OR be an accepted tune-up/recommissioning as established by the Minneapolis Health Commissioner or their designee. This requirement will be phased in over four years, beginning in 2020 with buildings 150,000 sqft and greater and affecting buildings of descending sizes in subsequent years. To learn more, review the Compliance Standards for Energy Benchmarking. CenterPoint Energy is launching a new tool, the Energy Tracker, that allows customers to automatically aggregate whole-building energy use data and upload the data seamlessly into ENERGY STAR Portfolio Manager®. The Energy Tracker is designed to protect customer information while helping facilitate easy, convenient data collection for energy benchmarking. This tool is similar in many ways to Xcel Energy's Energy Benchmarking Tool, which is already used by many building managers to simplify benchmarking. Instructions on how to use the utilities' tools will be provided at the benchmarking data jams and at other future trainings. Watch this newsletter for updates. Want to get ahead of the energy evaluation requirement? 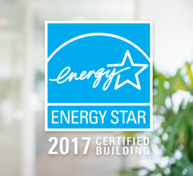 Does your building have an ENERGY STAR Score 75 or above? Become ENERGY STAR Certified! Certification is free, however it does require verification by a professional engineer or registered architect. CenterPoint Energy provides a rebate up to $1500 per building for verifications. Learn more.